The impact of a home heating oil leak can vary from sudden to periodic and from minor to catastrophic. With domestic use, leaks are often found coming from the tank, the valves or the supply line. 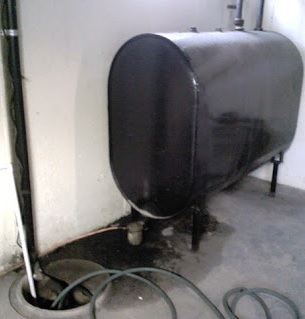 As domestic heating oil tanks are commonly found outdoors, any leak has the potential to cause damage to the environment. It is important that you deal with the leak quickly and correctly. Stop the flow at the source by turning the tap off. Prevent the flow to nearby buildings or watercourses. Identify whether the heating oil leak has travelled from your property and affected third-party land. Try to determine the amount of fuel lost from the tank by checking records of previous usage and receipts from fuel supplier. Notify your insurance provider as soon as possible as they will arrange for contractors to respond to the spill. Please note that they won’t cover tanks or pipes that have not been maintained properly. Contact your fuel supplier to request they uplift the remaining fuel as quickly as possible. If the heating oil leak has contaminated controlled waters such as streams ponds or lakes, contact the Environment Agency on 0845 313 0845. If the heating oil leak has damaged the building structure or the water supply has been tainted (tastes or smells of fuel), contact your local Environmental Health Officer. Ensure any repairs are made by an OFTEC registered engineer. We always suggest contacting your insurance provider and confirming that your policy covers the cost of any cleanup works prior to arranging this process.